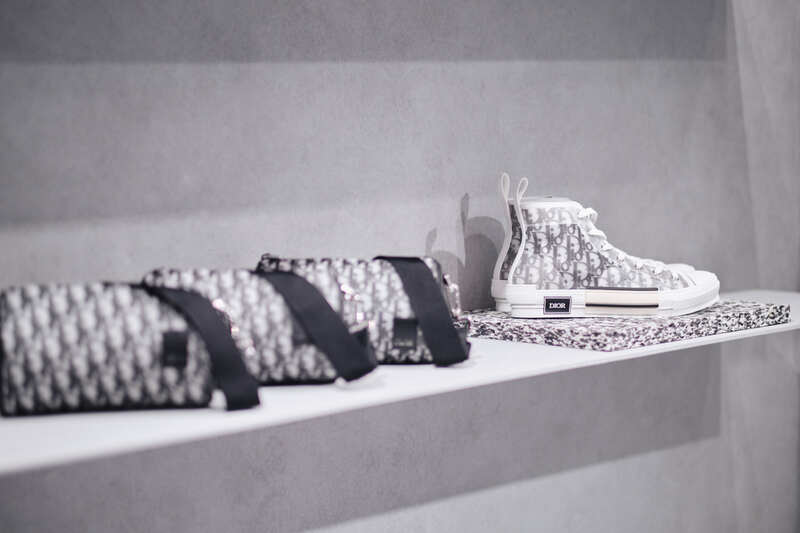 To celebrate the launch of Kim Jones’ first collection, Dior is hosting a dedicated Pop Up installation inside their flagship Sydney boutique. 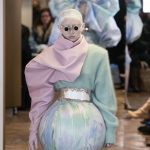 Revealed to the public late last week, the aptly sophisticated retail experience heroes Jones’ maiden Summer ’19 Homme collection; a thoughtful homage to the couture house’s eponymous founder Christian Dior. 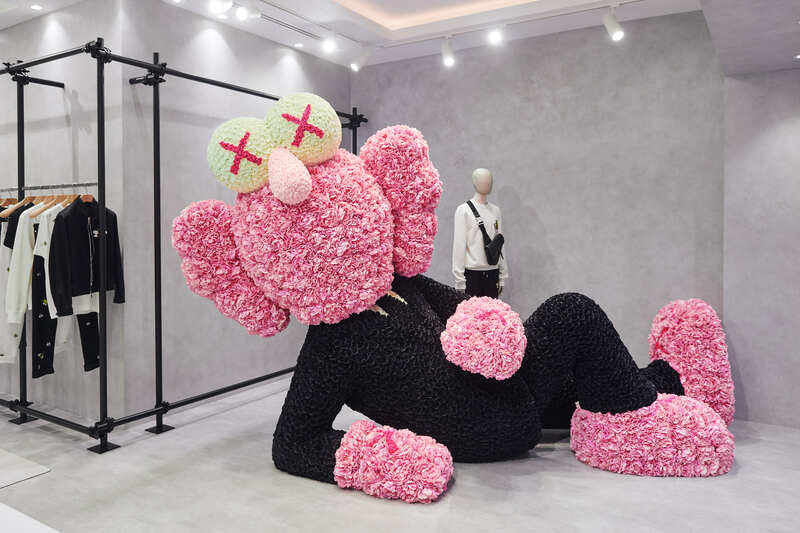 It also hosts a larger-than-life floral entity, namely BFF: a self-assuredly perched feat of sculptural wonder, envisaged by Dior Homme’s new Artistic Director in collaboration with New York based artist Brian Donnelly AKA Kaws. 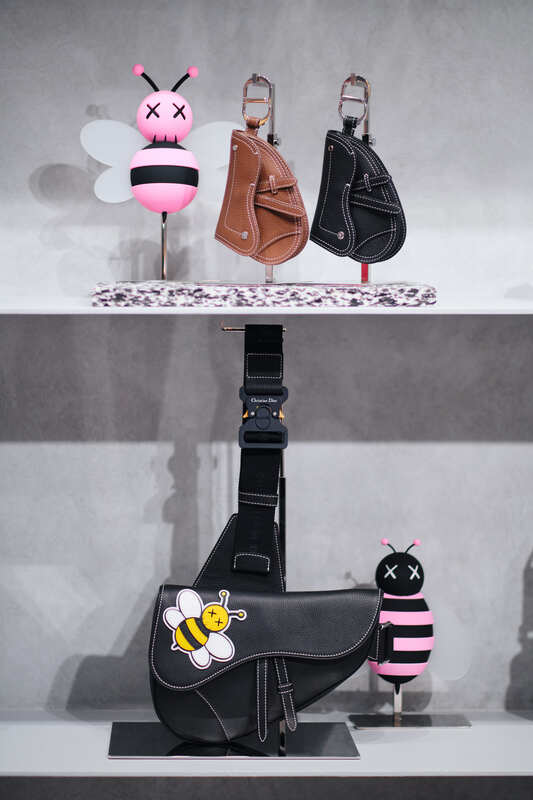 Jones’ Summer 2019 dalliance with the artist also features kewpie-esque, cartoon-hued bee motifs (cross eyed, as is Kaws’ MO), many of which may be found artfully scattered (or bejewelled) across this season’s garment, accessory and jewellery portfolio. 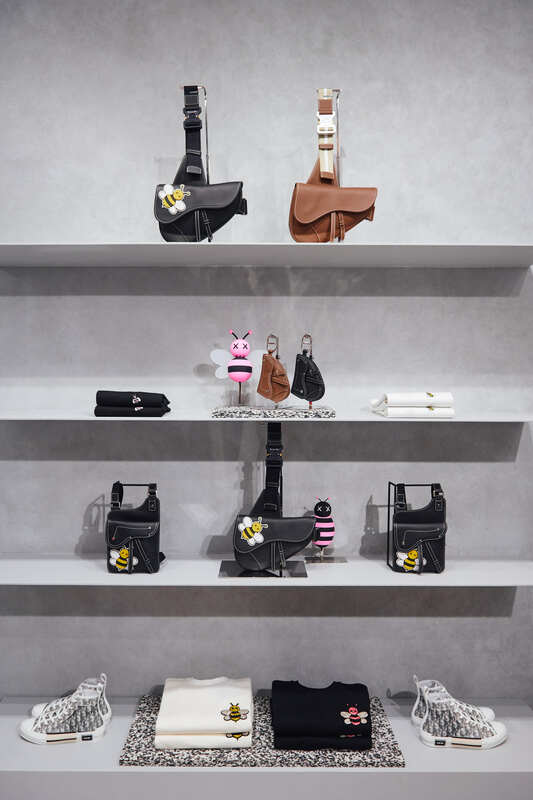 More than just a charming cipher, the humble bee acts as a relic of couture dreams past. 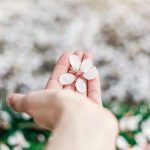 A former Maison staple; it’s an emblematic nod to Monsieur Dior’s inimitable design legacy (CD was notorious for his penchant for nature and ‘femmes-fleurs’), one that, not unlike Kaw’s re-imagined florals, serves to heighten Jones’ inaugural creative sojourn. 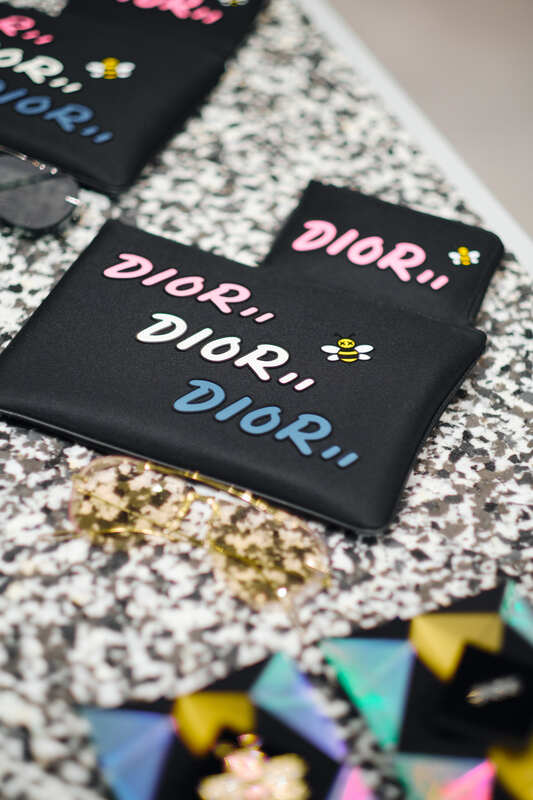 Other nods to Dior’s rich, tapestry of haute moments include the re-emergence of the brand’s statement ‘saddle’ bag (which sees it’s first male iteration as a cross body staple) as well as inverted, interior details and exposed linings – an artful, albeit discreet salut to the abstract. 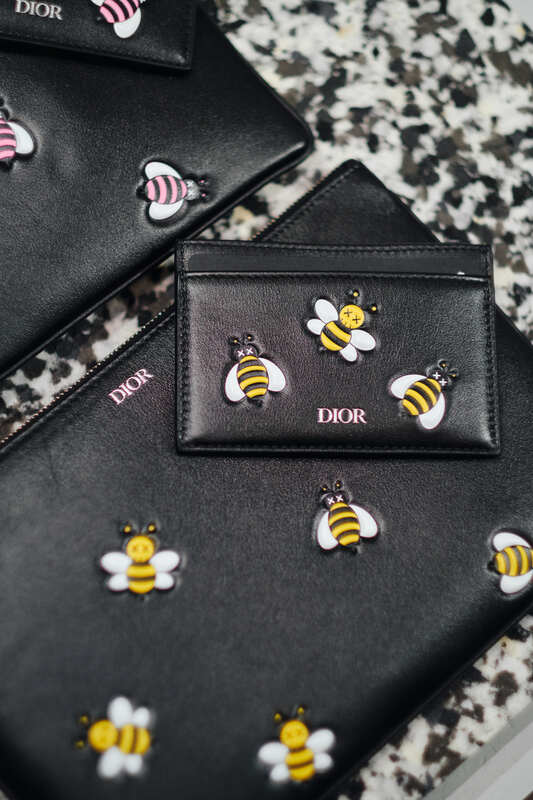 The Dior Men’s Summer ’19 pop up boutique will be open until 31st March 2019, and is now live at 67 Castlereagh Street, Sydney.